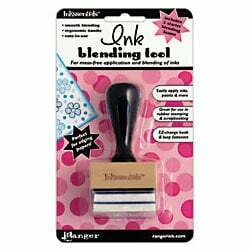 This Ink Blending Tool by Inkssentials is an easy and non-messy way to add inking and distressed edges to your crafting projects. 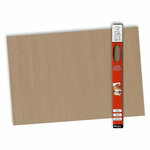 It comes with foam pads for use with pigment and viscous inks, paints and glues. 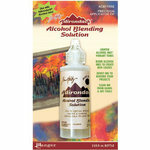 It also works well with Ranger's Adirondack Alcohol Ink Applicator Felt (sold separately) for dye-based or alcohol inks. It applies ink smoothly to any surface and allows you to have finessed control. 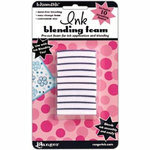 I have hesitated to buy this tool over the past couple of years that I finally expanded my scrapbooking to include inks. I wasn't so sure about all that "start on separate paper or mat and work your way onto the paper with the ink". Now I know I never fully enjoyed my inks until I did use this product. I store the used ink pads in small zip lock style bags so they can be re-used and I use a separate one for each color that I ink with. 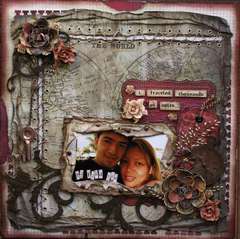 How silly was I not to trust Tim Holtz??? I was one of those people who were running the whole pad along the sides of the item I wanted to ink. Getting ink all over my hands and over my desk...soo not fun. I was introduced to this wonderful product. My fingers are clean..desk not soo mcuh(from other stuff :). The pads last a long time. I could blend two colors at once. I will recommend this for anyone who has an ink collection. As I do!!! 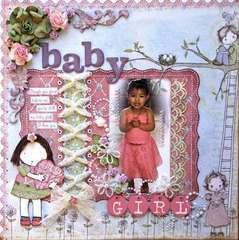 Used in this card: My very first card!!! Love love love this tool! It is a MUST if you are using the alcohol inks. It is simple and really mistake free. I did have an issue with the new foam pads attaching. They would not stay on the tool. So I just used some sticky back velcro and placed it on the tool and now the foam pads stick like new! 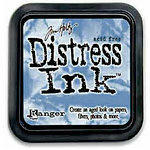 A must have for your distress inks AND you need to have one for every color ink. If you are like me when I get a vision in my head, I just want to go with it like Edward Scissorhands to head of hair! I don't want to have to stop to keep chaning pads on these guys....so I am slowly working on getting one for every color distress ink. I did buy the craftspinner to hang these on and will need to get another one really soon. They are awesome. This is my go to tool when I am laying down ink on my layouts or projects. I just grab the base of the block, use a circular motion to add ink to the foam pad, then run it along the edge of my paper to add definition and character. You can add lots of ink or little bits of ink, all up to you. If you don't have one, buy it.. you'll love itt. I love this blending tool!!!! I just got this in the mail and I love it!!!! I'm glad I got two! 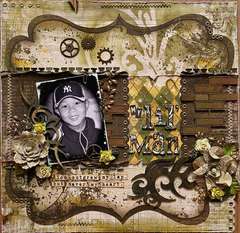 This works perfectly with Tim Holtz ink pads when you want to distress tags, pages, and any embellishments. I'm glad I have this tool to use and now I have spares to hold me until I run out!! 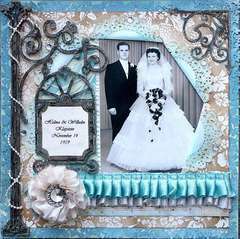 This is a must buy and it works hand in hand with the whole Tim Holtz line!!!! I tried to use other ways to apply the distress inks but none worked for me. I had this on my wishlist for long & got it in a swap. 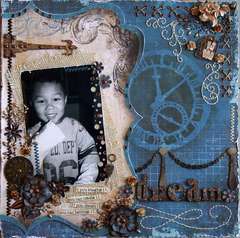 I used it immediately & love the way it moves smoothly on cardstock & paper. I don't know why I waited so long for this tool. It is the best if you are into inking. Try it. THis blending tool is a must have. 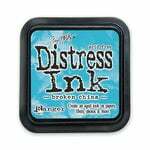 I actually have three & a foam pad for each of my distress ink colors. It is so versatile, use it for shading edges, to color over masks, to alter over crackle paint, really a long list of things to use. I use it on pretty much every page & card I make. 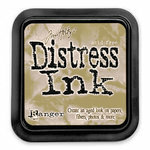 This is a great tool for use with distress inks. 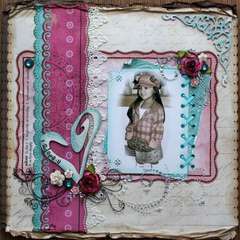 When you use it, you can get a nice soft distressed look. I've got the refill pack also and save on pad for each color. I haven't tried washing the pads yet, but if someone has done that, I'd love to know how it turned out.